Hello, Deerie. Don't be shy. Come on out into the open. Hunting season ended over a month ago. Come get a treat, my beauty. Would you care at all for a carrot? Of course you would. We fed them deer feed throughout last winter. It was bitter cold and there was lots of snow. So far, the winter's cold has set in later than last year and there have been more natural resources available for these lovely, elegant creatures. We have also done a bit of research, reading and listening and have learned that for several reasons, it's not such a wise idea to feed the deer. The Ontario Ministry of Natural Resources advises against it under most circumstances, as do most animal advocates. 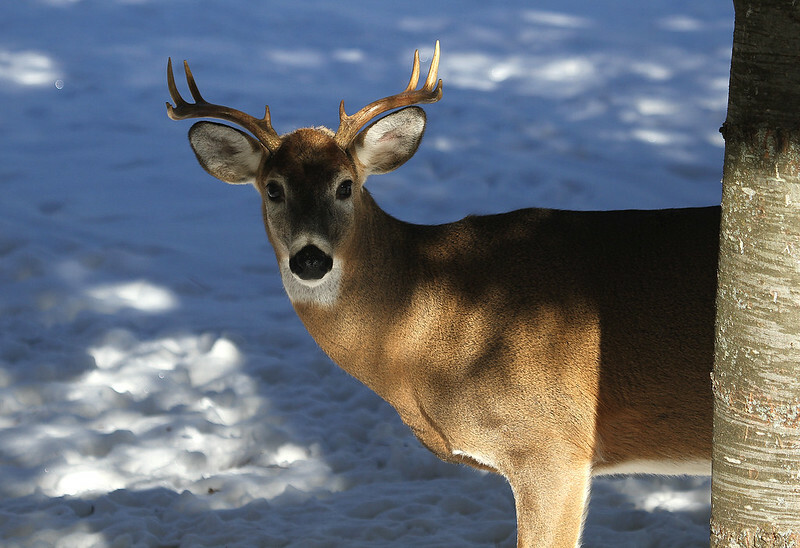 And though we'd like these beauties to come around for a visit, we sure don't want to do them harm in any way, so we decided against buying commercial deer feed and scooping it out for them each day. Besides, a few of our neighbours are feeding them regularly so adding to that during a normal winter would be overkill. That doesn't mean that they don't get the occasional carrot treat - though only a couple of them seem to like them. Neither does it mean that we have stopped feeding the birds. 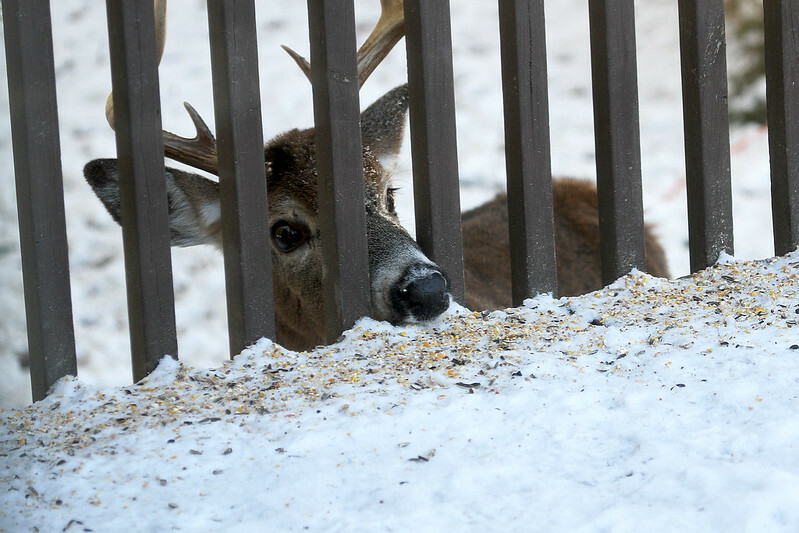 And where there is spilled bird seed, there are deer who come to clean up. We still have several come by each day. They seem to forgive us for the lack of last year's gourmet offerings. This guy is a clever one. We sprinkle bird seed along the top of the railing for birds and squirrels alike. Of course some of them are messy eaters and so it falls to the deck below. 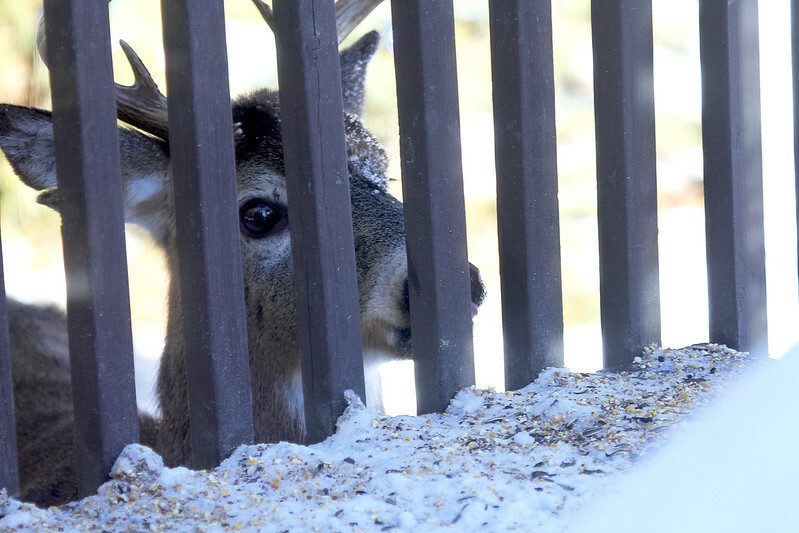 It just so happens that the deck is at a perfect height to allow the deer access by poking his nose in between the bars. And licking up all the seed. He's here doing that every day. They're the best part of winter up here in the country. Oh my, what delightful photos of this beautiful visitor. The lighting on the first photo is wonderful. 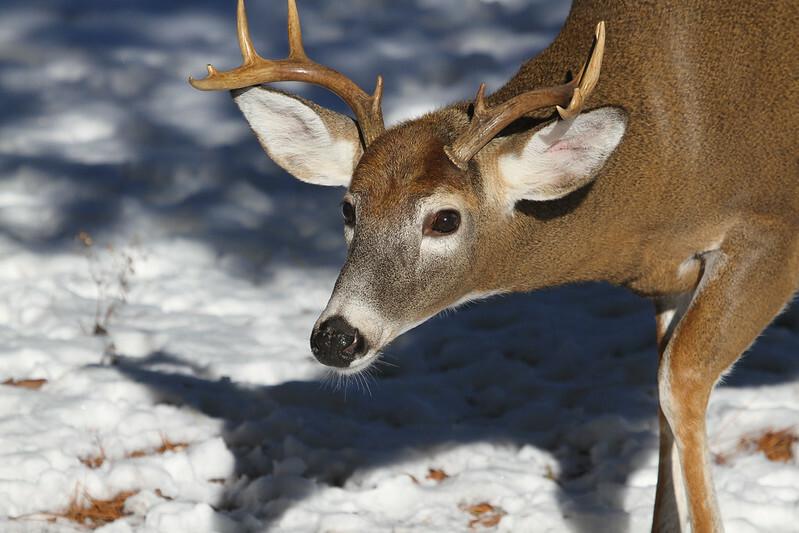 Must be a treat for the deer and you to share your winter wonderland. Too bad they turn whatever they eat into piles of chocolate M&Ms. Too cool to get them coming in so close.They can do a lot of damage , as they have on my feeders. Such a delight to see on a daily basis. Wonderful photos. hehehe love what Frank said! No matter how beautiful the wild world is, and how much we like to look after the wild creatures, they are usually better off on their own. But having said that, I am guilty of feeding the birds and putting stale bread out for the tree rats AKA the cute little squirrels. Love those pictures. You are lucky to see such timid creatures so close up. oh glory these are fantastic shots of the deer. They are such beautiful creatures, but you mentioned up top, why you don't want them acclimated to humans. I feed the birds...but no one is hunting them down the block. Sigh. I wish all hunters only carried cameras. Beautiful deer photo story. 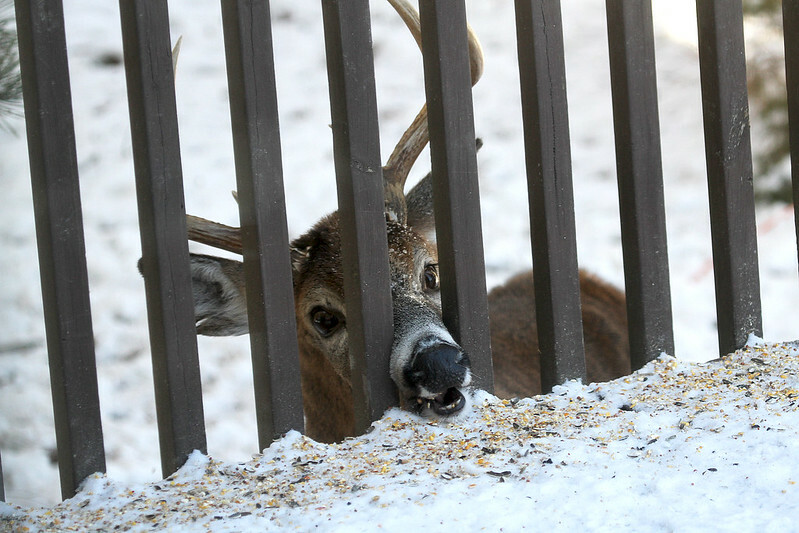 I didn't know there was such a thing as commercial deer feed. Not that I'd buy it. They are beautiful....but yes, sometimes thinking we are doing the right thing, we do what's not necessarily best for wild animals. So glad you are wise enough not to feed them...I was going to scold you. I can just see that one getting his nose caught in the railing. Feeding any and all animals has to be done thoughtfully as much as we love them. they're absolutely beautiful! and adorable. What stunning images of a beautiful creature! They'll be eating out of your hand soon. Quite handsome! 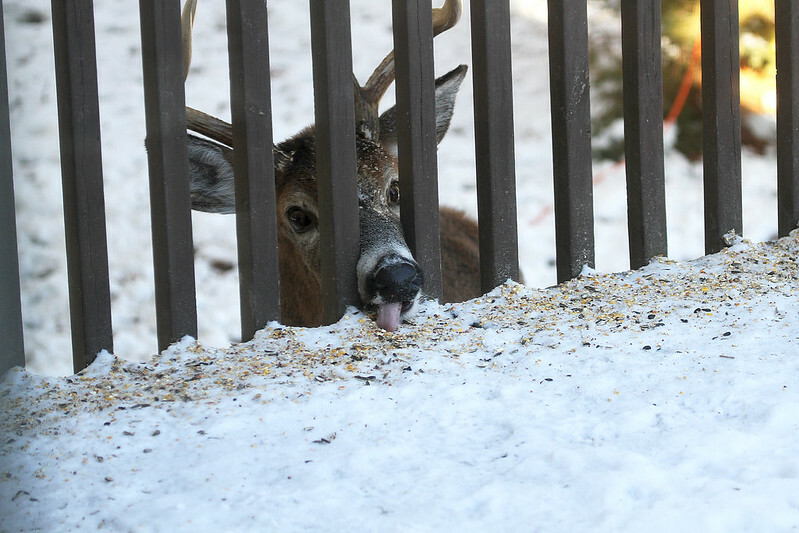 My parents saw the same all winter when they lived in cottage country- the deer would tend to come towards the end of the day and lick up all that fallen bird seed below the feeders, some of it on the ground, some of it in the empty flowerboxes conveniently at their level. Every once in awhile my mother would toss a slice of bread out onto the snow when they were around, and they'd come and eat it up. So cute. i remember years ago in Yosemite, that it was encouraged to feed the bears. Times have changed. Now signs are posted saying: A fed bear is a dead bear. These animals need to know how to fend for themselves, as they've done for centuries before tender-hearted people were around to feed them. Still, I'd be tempted to give them a carrot or two. Nice shots of your friends. yes, there is controversy on whether they should be fed or not. Lovely creatures, and smart. They will take advantage of every opportunity! We used to have three deer that visited our backyard but since our neighbours got a dog they haven't been around. I miss them. Hope Benny is going nuts with the cone on. Had to wear it for weeks, right? Or is it gone by now? They are so beautiful but I do understand the reason for hunting. 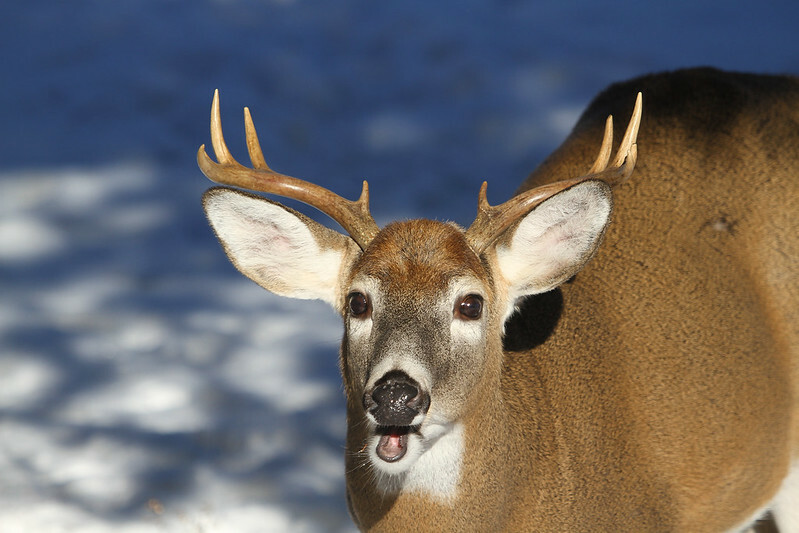 Many folks around here depend on deer meat for their families and it keeps the population down and also the damage to farms and home gardens...not to mention cars. But you have captured some cuties...the one shot looks like she's giving you a big kiss for the carrot! ha! When Eddy the boxer comes to visit he must think those round little turds are M&M's...he loves to munch on them! Yuck! Have a good week! I read this post this morning but didn't want to ask about Benny in case it was bad news. But it is good news and time for a Benny happy Dance! That little buck looks to be in great shape. How fun! I would love to have them come that close! He's a handsome fella! They really are beautiful. Chocolate m&m's and all. And so glad to hear about the path results on Benny!! Don't you just love these beautiful creatures! I do. Your photographs of them are splendid. And.....the best news of all this evening: your fur baby's (aka Benny ) tumor is benign! Yes!!! I'm so happy for him...and for you. Love love the deer, but am so happy about Benny's news. Wonderful!!! Excellent news for Benny, keep it up. 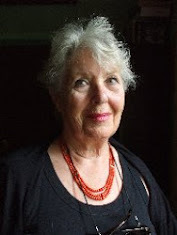 The Deer is superb, well photographed Hilary. So beautiful. I don't know how anybody could shoot one, except with a camera. They are beautiful animals and I enjoy watching them. They can be very destructive which is the down side. Very good news about Benny's tumour being benign! These are great shots of the deer, Hillary! Yay! Benny rules! Now the next move is to get rid of the cone.... good for you, Benny! Simply wonderful news about Benny. Hurrah. I like all of your photos here. I particularly like the very first one the best. It is a great mixture of shadow and light. PS: I am glad that Benny does not have "C". No living creature should have to go through the pain an suffering of that ugly disease. Good news on your puppy. 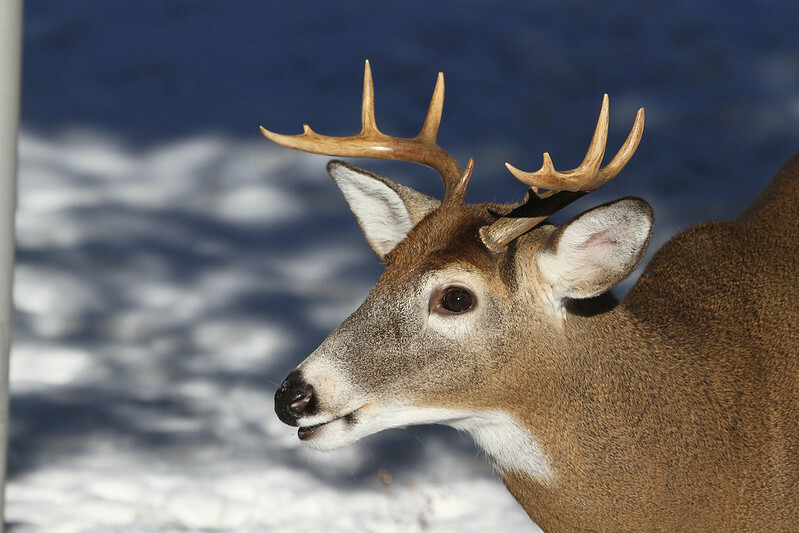 Fabulous shots of the deer! And wonderful news about Benny. Oh, he's a beauty! Fantastic pics! Super news! 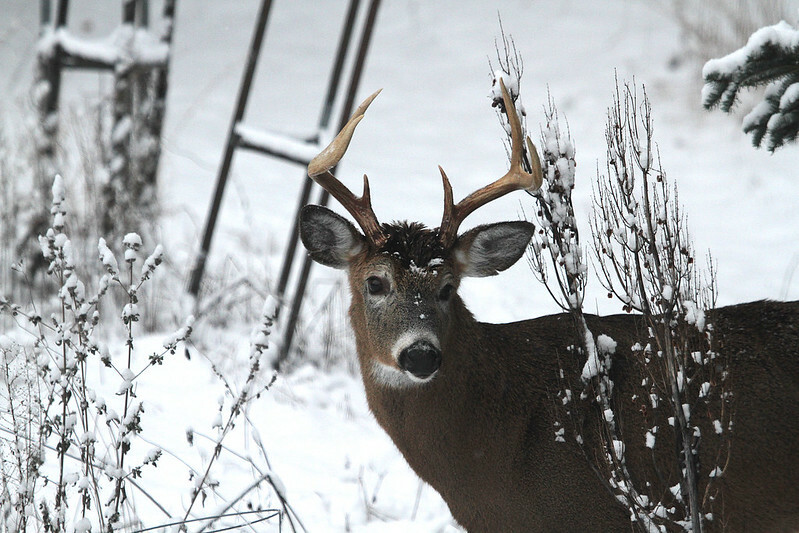 And these are great shots of the deer- he seems very curious! The deer are beautiful. They add a lot to the white winter scenery. I know it's hard to resist feeding them. There are signs at the lakes and parks about not feeding the ducks. I'm so happy for the good report on Benny!! Your deer are are so beautiful. We used to feed ours and enjoyed watching them in our front yard, but we stopped for the same reasons you did. These are gorgeous shots! They must be getting plenty - he looks very healthy! Hi Hikary, You have your own willife refuge. The deer have such liquid eyes. Someone up thataway once mentioned that what you feed is important and that if you do feed, you should keep it up all winter. 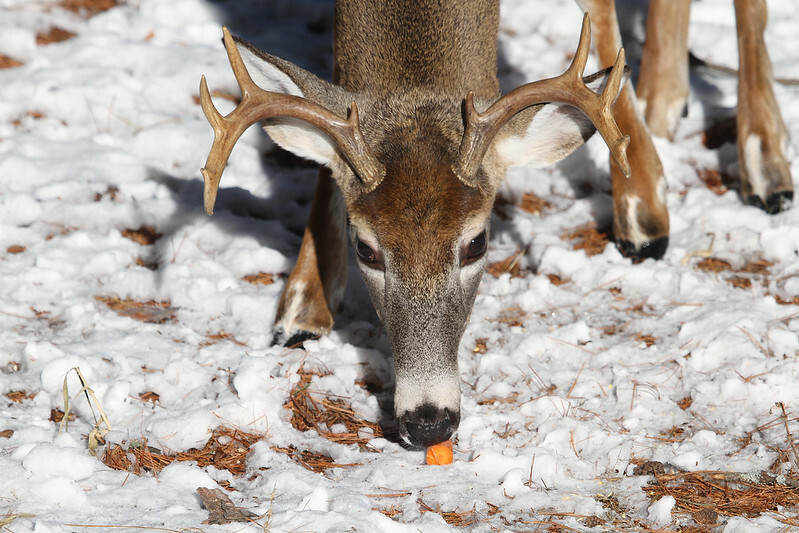 A nearby lady feeds them and deliberately places her feed so that the bucks will tend to shed and leave their antlers behind.